Petrolatum is an ointment that is available as an over-the-counter (OTC) skin protectant, and is also formulated with a variety of cosmetics and personal care products due to its function as an occlusive agent. Petrolatum, also known as petroleum jelly, is a colorless or pale yellow semi solid mixture of hydrocarbons. In organic chemistry, a hydrocarbon is an organic compound consisting entirely of hydrogen and carbon. Petrolatum typically contains 25 or more carbons. In 1859, the raw material for petrolatum was discovered in Titusville, Pennsylvania as a byproduct of petroleum refining. It was chemist Robert Chesebrough who determined that the unrefined black “rod wax”, as the drillers called it, could be processed through vacuum distillation to create a light-colored ointment. After exploring potential uses for this ointment, Chesebrough found that it could speed healing of skin injuries. In 1870, he opened his first factory in Brooklyn using the name Vaseline. 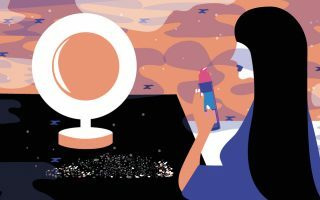 After petrolatum became a medicine cabinet staple, consumers began to use it for a multitude of ailments, including toenail fungus, nosebleeds, diaper rash, and chest colds. Today, petrolatum is still used for medicinal and cosmetic purposes, which we will discuss below. 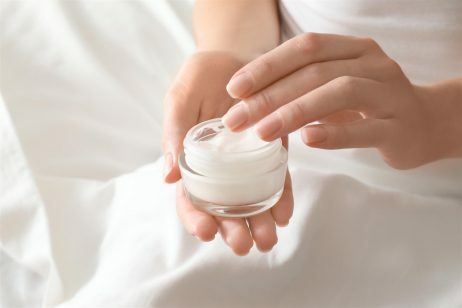 In cosmetics and personal care products, petrolatum functions as an occlusive agent. It is also available as an OTC skin protectant. Petrolatum is an occlusive agent that reduces the rate of water loss through skin. Since petrolatum has a melting point that is close to body temperature, it softens upon application and forms a water-repellant film around the applied area. This film prevents evaporation of the skin’s natural moisture and increases skin hydration by causing buildup of water in the stratum corneum (the outermost layer of skin). Furthermore, petrolatum has been shown to penetrate deeply into damaged skin and enhance recovery of the skin’s barrier function. Maintaining a strong, intact barrier is important to keep harmful things like allergens, bacteria, and irritants from entering the body through the skin. Petrolatum can also be found in hair care products due to its ability to enhance the appearance and feel of hair. It increases hair body, suppleness, and sheen, as well as improves the texture of hair that has been damaged physically or by chemical treatment. Another function of petrolatum is as a skin protectant. Petrolatum protects the skin after an injury by replicating the occlusive properties of the stratum corneum. When a wound is healing, the new, underdeveloped stratum corneum allows abnormally high levels of water loss. If too much water is lost, the area can become dehydrated. The state of dehydration signals to various cells in the epidermis to synthesize and release collagen. Unfortunately, when the body produces too much collagen, scarring can result. Applying petrolatum to a skin injury provides the newly formed stratum corneum with improved occlusion and aids in retaining optimum water levels. When the skin is properly hydrated, the risk of scar formation decreases. This is why the American Academy of Dermatology recommends keeping skin injuries moist with petrolatum to reduce scarring. Petrolatum is also widely used after minor surgical procedures. According to a publication in the Journal of Allergy and Clinical Immunology, a large randomized trial of postoperative ambulatory surgery patients found petrolatum to be equivalent to bacitracin, a topical antibiotic commonly used in the prevention of infections. Furthermore, petrolatum rarely induces allergic contact dermatitis (ACD) reactions and has never been reported to cause contact anaphylaxis, whereas bacitracin was shown to induce ACD in up to 13% of patients and has caused contact anaphylaxis in several cases. When properly refined, petrolatum has no known health concerns. However, petrolatum is often not fully refined in the United States, which means it can be contaminated with toxic chemicals called polycyclic aromatic hydrocarbons (PAHs). The National Toxicology Program (NTP) considers PAHs as a class to contain reasonably anticipated carcinogens. Despite this potential health concern, petrolatum is approved by the United States Food and Drug Administration (FDA) as an active ingredient in OTC skin protectant drug products, as well as in ophthalmic and anorectal drug products. The Cosmetic Ingredient Review (CIR) Expert Panel has deferred evaluation of this ingredient because the safety has been assessed by FDA. References: Wikipedia, “Petroleum Jelly”, AJIC, “Structure and function of the epidermal barrier”, 2006, J Allergy Clin Immunol. 2016,137(4) 1091-1102, Campaign for Safe Cosmetics, “Petrolatum”.